If you knew me prior to my life as a better practicing Muslim and a hijabi, you might have been one of those people who were surprised to see me all covered up and wearing a headscarf. It was a big step for me but a combination of many things had led me to that decision. It all began when my father passed away, I took a year off university and stumbled upon Moez Masoud's television shows called Parables in the Quran and Stairway to Paradise. But what sealed the deal for me was when I went on the Umrah pilgrimage and received a gift from a very close family friend, a book called The Secrets of Secrets by the late Sufi scholar, Shaykh Abdul Qadir Jilani. She has since passed away from lung cancer (may Allah grant her the highest level of Paradise) and sadly, I never told her how that book changed my life, because it was when I discovered tasawwuf through Sufi scholarly books that I fell passionately in love with Islam. Scholarly books can be quite intense and intimidating so when I came across SufiComics.com I was elated. 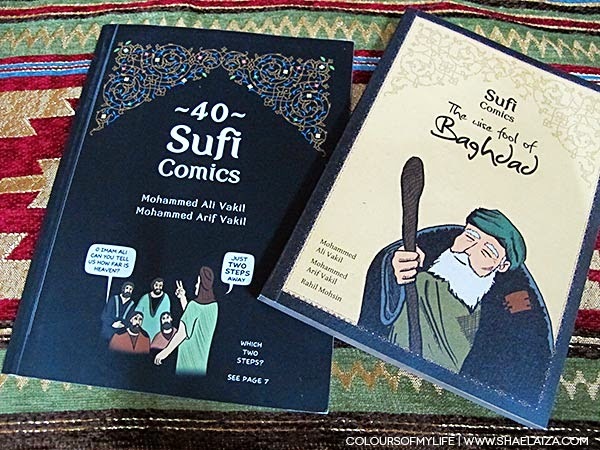 Just when I thought it couldn't get any better, I won their giveaway and received 40 Sufi Comics and The Wise Fool of Baghdad in my mailbox. 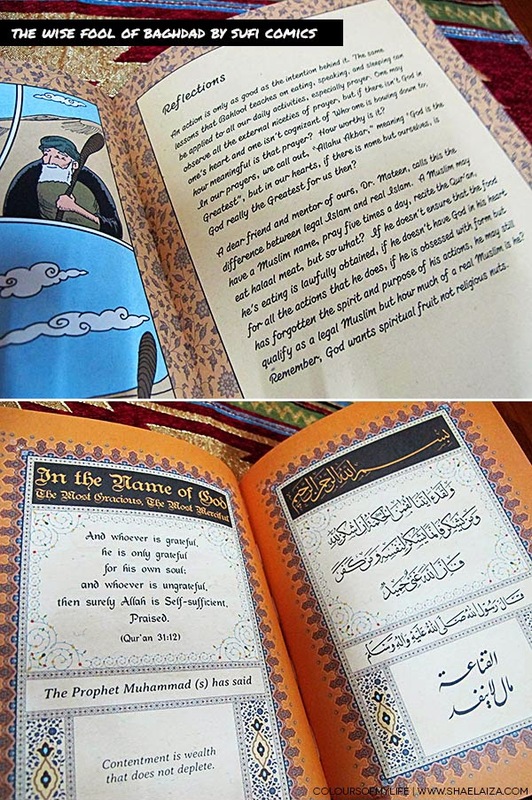 I was impressed by the Sufi Comics team's dedication because not only did every story and lesson touch my heart but the books themselves were creatively presented. They were full of thought-provoking reminders of Allah's greatness and mercy. 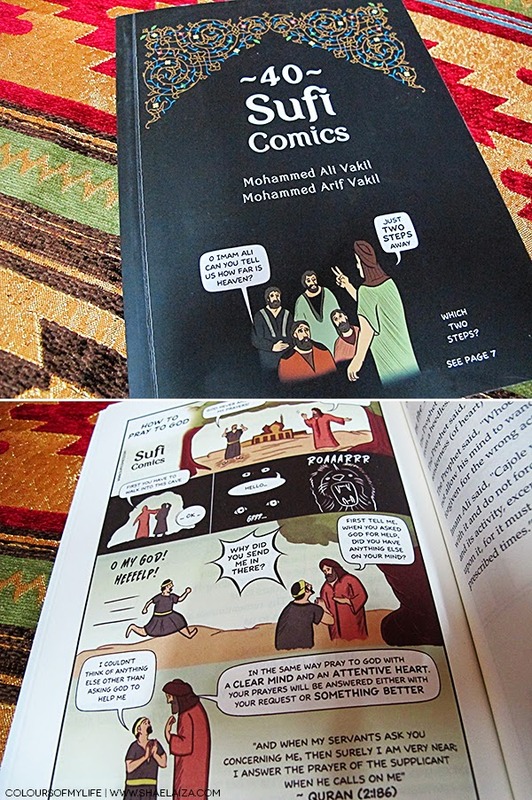 The 40 Sufi Comics compilation can be read online for free but holding and reading the physical book made the stories come to life in a different way. I always find it more fulfilling to read an actual book than e-book. I was pleasantly surprised when I received the book The Wise Fool of Baghdad because it meant I would be even more inspired to love Islam and Allah (subhana wa taala). Just look at this beautiful work of art. 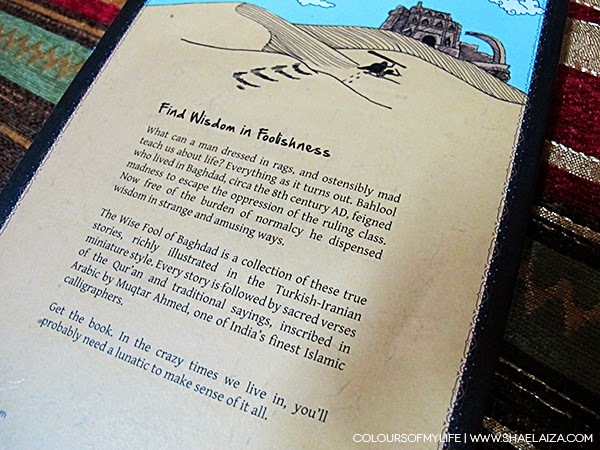 I'm thinking of doing a vlog to share one of my favourite stories from The Wise Fool of Baghdad and why I love it so much. Yay or nay? :) I rarely do blogs but I'm just so proud of Sufi Comics for coming up with these books that are great for both children and adults. They only cost USD 10 and USD 17.95, respectively. How cool is that? I hope you're all having a wonderful Friday, inshaAllah. Askm. Thanks for sharing this.. Thumbs up! And the vlog, best of luck.. Allah Be With U..